Masterfully planned with an emphasis on low-density, Dove Mountain inspires a true sense of Arizona community with the utmost respect for the natural habitat and its own habitants. Dove Mountain Resort Arizona Community Elevations soar from 2,700 to 4,300 feet. Long, spectacular views seem to go on forever in every direction. Almost a third of Dove Mountain Resort Community's nearly 9 square miles is dedicated to open space. Importantly, the integrity of Dove Mountain Resort Arizona Community's perimeter is forever enhanced, with over 10 miles of boundary against either formal preserves or Arizona State Trust owned mountains. Dove Mountain Resort Arizona Community is comprise of over 6,200 acres of foothills, canyon and mountainside living in the Tortolita Mountains, just north of Tucson, Arizona. Dove Mountain Resort Community is a master-planned Arizona golf resort community in a high Sonoran Desert setting and climate that will bring out the best in you, outdoors year round. Dove Mountain Resort Arizona Community is the home of the World Golf Championships Match Play Championship. Where the top 64 players in the world compete on one of two new Jack Nicklaus Signature Arizona golf courses at The Ritz-Carlton Golf Club, Dove Mountain. The Ritz-Carlton, Dove Mountain Resort Arizona Community, is an exciting, new addition to the lifestyle at Dove Mountain. A comprehensive selection of highly desirable lifestyle choices awaits you at the Dove Mountain Resort Community. The inspiring heights and privileged views of Canyon Pass. The private Arizona country club setting of The Gallery Golf Club. And, the sense of belonging in Saguaro Forest and The Preserve. The New York Times writes: "It is the largest Ritz-Carlton development in the continental United States." The half-billion-dollar Ritz-Carlton Dove Mountain Resort Arizona Community development in northwest Tucson includes a 250-room Ritz-Carlton Arizona resort hotel and spa, The Ritz-Carlton Golf Club featuring Jack Nicklaus Signature courses, and a Ritz-Carlton branded residential community. Encompassing 850 acres within the Dove Mountain Arizona resort master-planned community, the new Ritz-Carlton project will be the ultimate in Arizona luxury vacationing as well as Arizona luxury living in the high Sonoran Desert. Described as "the last great treasure in the continental United States" the high Sonoran Arizona Desert is everything but shifting sand dunes and barren rocks. Mountainous and surprisingly green, the high Sonoran Arizona Desert is an invitation to live life daily, outdoors. And at Dove Mountain Resort Arizona Community the outdoors living is as varied and fulfilling as the environs are alive and vital. Dove Mountain Resort Community is comprised of over 6,200 acres of foothills, canyons, high Arizona desert mountain vistas, and mountain side living in the Tortolita Mountains, just north of Tucson with elevations soaring from 2,700 to 4,300 feet is delighful. Long, spectacular views seem to go on forever in every direction. This Arizona golf community enjoys year round outdoor recreation. 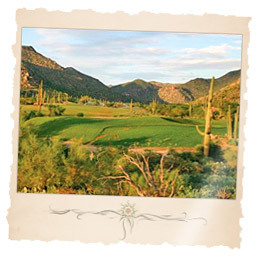 Miles of walking paths meander through Dove Mountain Resort Arizona Community's natural undisturbed wilderness. Dove Mountain Resort Community offers Arizona homes from $200,000 to $5,000,000. Available Dove Mountain Resort Community Arizona land building lots are offered from $300,000 to $700,000. Strict architectural guidelines ensure that Dove Mountain Resort Community Arizona homes complement the natural landscape. Other area developments with Arizona golf course frontage features are Solano and Vasquero. The gated community of Canyon Pass at Dove Mountain offers Arizona homes from $1,500,000 and above. A number of factors combine to give the Dove Mountain Resort Community area an aura of complete privacy. First of all, it is an expansive canyon with sheer mountain walls securing its perimeter. Dove Mountain Resort Community open land Arizona home sites are large, averaging close to two acres with natural separations of rugged rock outcroppings, towering saguaro and views of city lights and distant mountain ranges. Dove Mountain Resort Community conceived The Residences as highly customized private Arizona luxury homes for a discriminating clientele. Every detail is carefully considered from thoughtful open Arizona land home site planning to magnificent Arizona home designs that enhance the glorious views and foster a lifestyle that blurs the distinction between indoors and out, and invites the outside in. Dove Mountain Resort Community's exclusive Arizona homesites will give you the opportunity to design the luxury custom Dove Mountain Resort Community Arizona home of your dreams. If you'd rather enjoy your Ritz-Carlton Arizona home more quickly you can select one of the Dove Mountain Resort Community floor plans, which can be customized to meet your specific wants and desires. Luxury Dove Mountain Resort Community Arizona Custom Homes with an array of finishes by The Ritz-Carlton provides the added touch of world-class service, with valets and concierges, and the option of cooks and housekeepers. Your Arizona home will be a relaxing haven where you can unwind while we handle the details of housekeeping, yard work and exterior maintenance. The Ritz-Carlton, Dove Mountain Resort Arizona Community ownership in The Residences brings access to The Ritz-Carlton Golf Club, with its Jack Nicklaus Signature Golf Courses, The Ritz-Carlton hotel and spa, and many other amenities of the Dove Mountain Arizona community. The tools to begin your new Dove Mountain Community Arizona homes search are right at your fingertips! To get started, simply click on the quick link above or browse Arizona new construction homes and houses for sale using the links to the right. 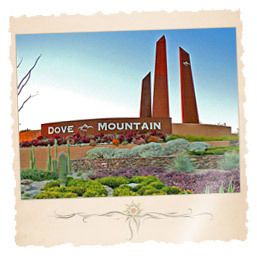 Find a new Dove Mountain Community home for sale or locate a home builder in Arizona on MyOwnArizona.com. Our MyOwnArizona™ Dove Mountain Community real estate guide showcases new construction homes, townhomes, condos and new Arizona communities by new home builders throughout the State of Arizona. Find new homes by map, desired home price or by browsing new developments and floor plans by lifestyle or home type. All home listings include home price, location and money saving incentive offers to make buying a new Dove Mountain Community home more affordable. All houses for sale listed include floor plans, pictures and many offer tours of the new homes and communities. 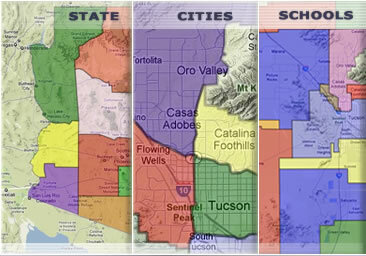 Contact us at: info@MyOwnArizona.com for Arizona & Dove Mountain Community in Tucson, AZ real estate.